We always knew the Dodge Challenger SRT Demon was destined for YouTube drag race fame. We’ve already seen it take on a various supercars, Teslas and even a Challenger Hellcat, and we’re not bored yet. 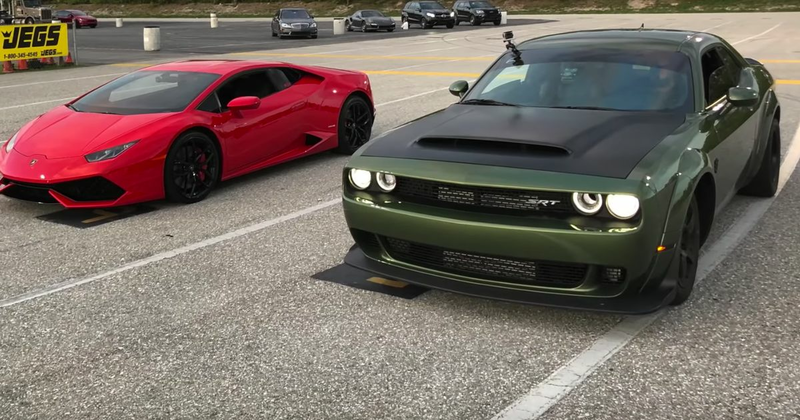 This latest one involves the 840bhp Dodge trying its luck against the Lamborghini Huracan LP610-4. Granted, the Italian supercar is less powerful, but it’s also much lighter and has the benefit of being all-wheel drive.